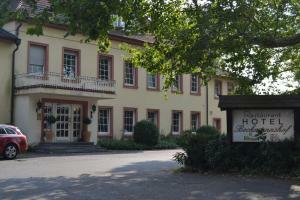 Featuring free WiFi throughout the property, Hotel-Restaurant Beckmannshof offers pet-friendly accommodation in Bochum. Guests can enjoy the on-site restaurant. Free private parking is available on site. The rooms are equipped with a flat-screen TV. Some units have a seating area to relax in after a busy day. Every room includes a private bathroom equipped with a shower. Railway Museum Bochum is 5 km from Hotel Beckmannshof, while Schauspielhaus Bochum theatre is 6 km from the property. Düsseldorf Airport is 34 km away.